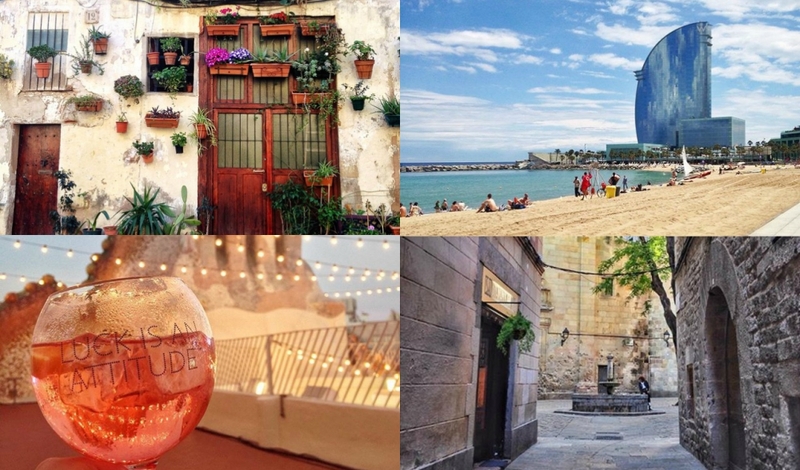 Recently, I was having a think about what sorts of things I wanted to share on my blog – and I realized I’d never done a list of my favorite things to do in Barcelona! After a few years writing about how much I love this city, I still hadn’t pinned down a list of what I like to do here. 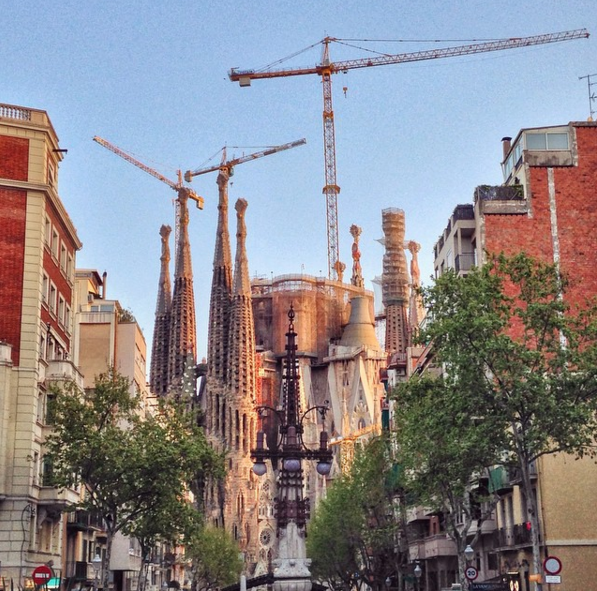 Some of these things are touristy, others are more local, but all of them are some of my favorite ways to get and enjoy a good day out in Barcelona. 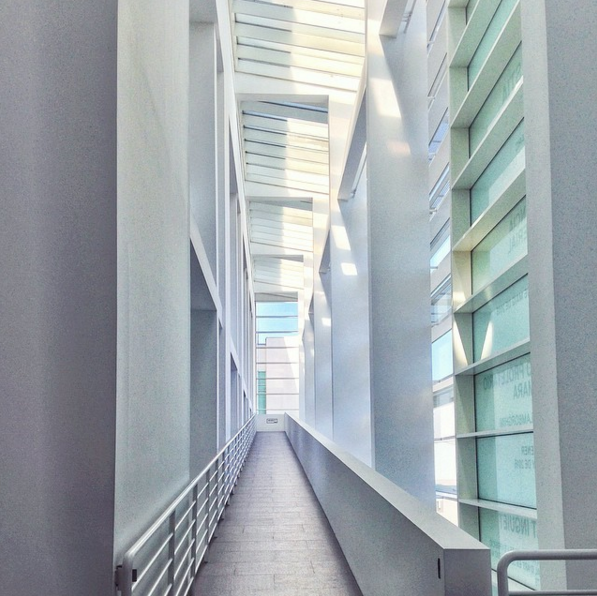 This year, I’ve gone to a few different exhibitions at the CCCB museum, which always seems to have something fascinating on that I want to go see. The most recent one I went to was the World Press Photo exhibition, a collection of the best photojournalism from around the world. They also had one about current African art from all over the continent, plus another about technology and the human body – all excellent. The best way to visit the museum is to start with a round of tapas or a lunch menu at one of the restaurants in the area, followed by a visit to the exhibition. Finish off with a round of coffees or beers to discuss what you just saw. Perfect! (Note: the round of beers may turn into multiple rounds. My latest lunch and museum outing lasted until 3:30 a.m. Not a typo). 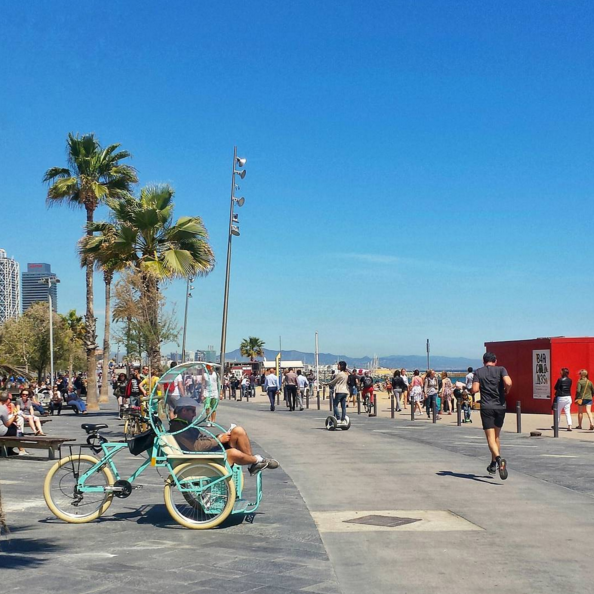 Though Barcelona’s city beaches do get pretty crowded when the weather is good, there’s no denying that it’s pretty amazing to live in a beachside city. It’s nice to kick off work a bit early and bike down to the beach for a relaxing afternoon of listening to the waves and walking along the seashore. Barcelona is full of lovely places to have a cup of coffee and a sweet treat. This becomes even nicer when paired with a gentle walk around the sights of the old city center. No matter how many times you see it, it never stops being gorgeous! One of my favorite things to do with visitors is go have a coffee and cake and then take them round the highlights. I actually like soccer and am currently playing as well! But even if you’re not a soccer fan, going to watch F.C. Barcelona play at one of the city’s bars and restaurants is a fun experience because so many people get into it. If there’s a big match on, at least a few of your friends will be meeting up for cervezas and fútbol. There’s usually a mix of die-hard fans and people who are just along to have a chat. Either way, even the most reluctant sports fan will have a good time! From time to time I mention how much I adore Barcelona’s Gràcia neighborhood. Part of the reason for that is the large number of pretty squares where you can sit outside at one of the terrace cafés or bars. Competition for seats can be stiff in the summer months, so once people snag a table they can be reluctant to give it up. Most of the year, the weather is nice enough to sit outside and while away the afternoon with tapas and drinks. When it gets chilly, most of the bars have heat lamps they turn on. 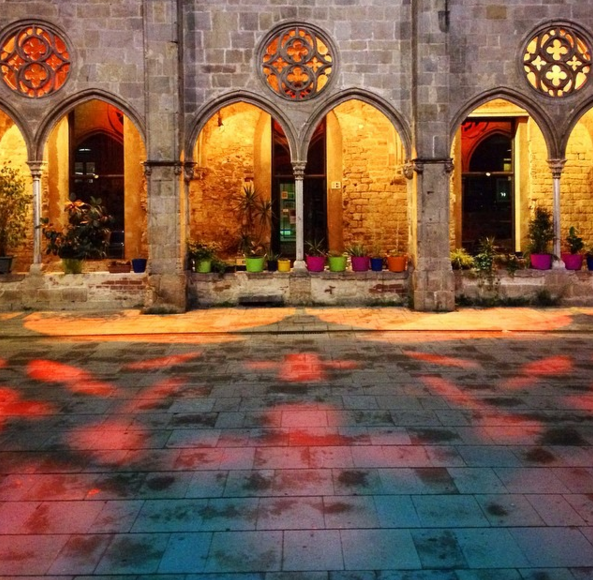 Day or night, there’s always great people-watching to be done in these squares. Though it’s an old tradition, I didn’t become familiar with vermouth (or vermut as it’s spelled here) until fairly recently. It’s like a Catalan version of going for tapas. 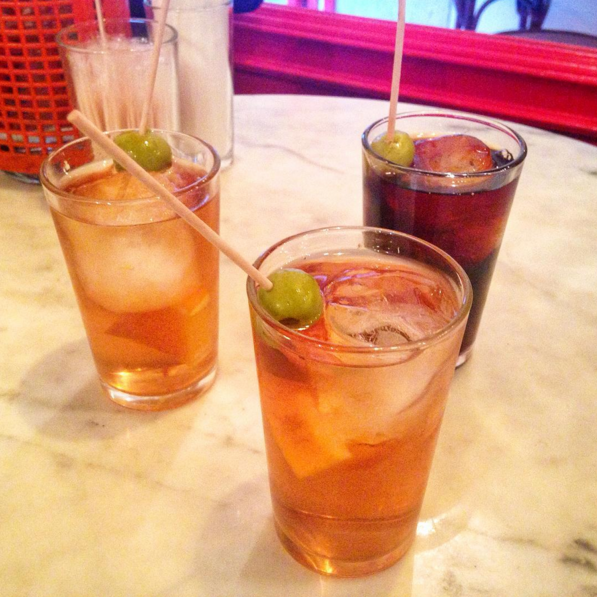 You hop from bar to bar and sample small tastes of food with a drink – in this case, glasses of vermouth! Whether or not you like the drink itself, the tradition is lovely, and there are lots of bars that combine the old tradition with a few ultra-modern elements, creating the perfect blend of old meets new. 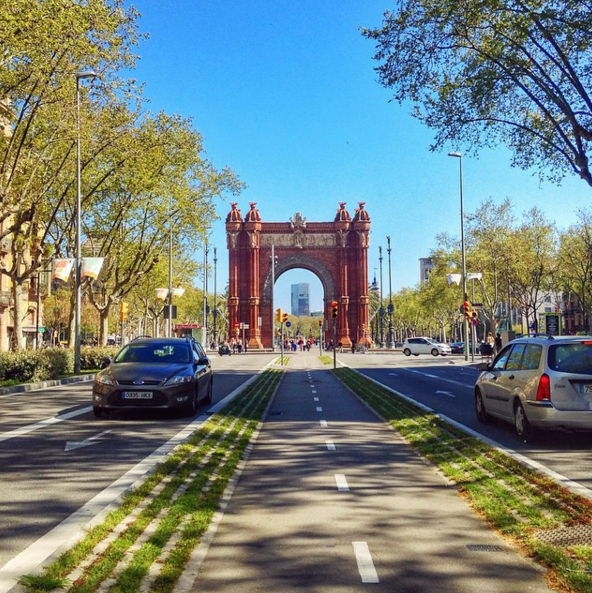 When it comes to quality of life, being able to bike and take public transportation to get around is one of the biggest differences between Barcelona and southern California. I mention this a lot because the difference is still so striking! And biking really is such a lovely way to get around the city. Sometimes I purposely take a special route just to stop by one of the city’s many, many gorgeous sights. (Though I do admit there are many other occasions where it’s more frantic pedaling because I’m running late – as usual!). 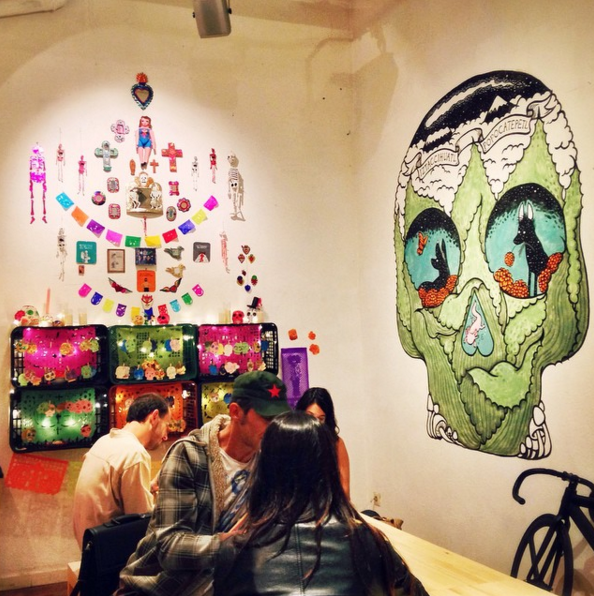 There’s something magical about bar hopping in Barcelona’s old city center. You’ll wind your way through a maze of tangled stony streets. Suddenly, you’ll spot a glowing hole-in-the-wall and it turns out to be an awesome bar filled with people happily shouting conversations over a killer soundtrack. Many a weekend (and the occasional weekday) of my time in Barcelona has been spent like this, and it’s always a good call. Montjuïc is one attraction in Barcelona that I really feel like I need to explore more. Every time I go, I’m blown away by the spectacular views and the semi-secret hidden gardens dotted around the hillside. They also have events like movie nights up at the castle. There’s even a free rock climbing wall on the southern side. Hopefully over the next few months there will be some sunny days to get out and about in Montjuïc! I don’t know if I’ll ever stop being impressed by the amazing architecture that Barcelona has. There are so many different styles and all of them are just so cool. Whether it’s a bike jaunt to the Sagrada Familia or a stroll down Passeig de Gràcia, there’s always a beautiful building just around the corner. 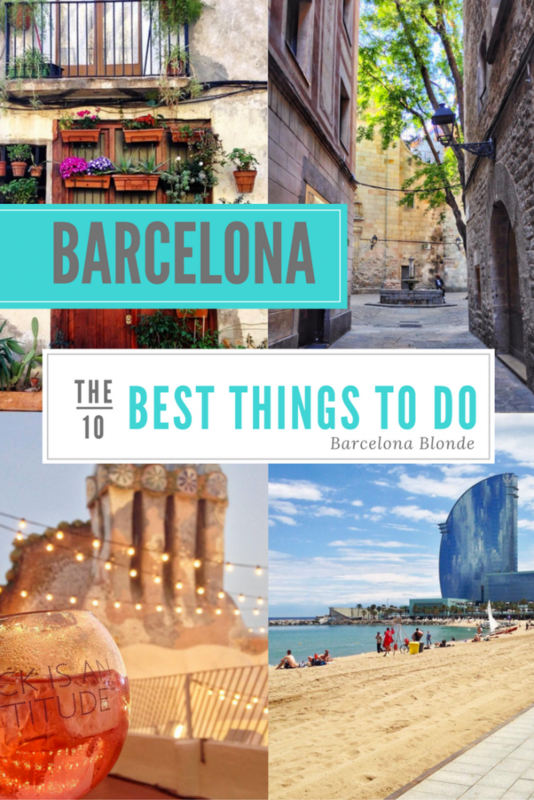 So, these are my favorite things to do in Barcelona. Now it’s over to you! 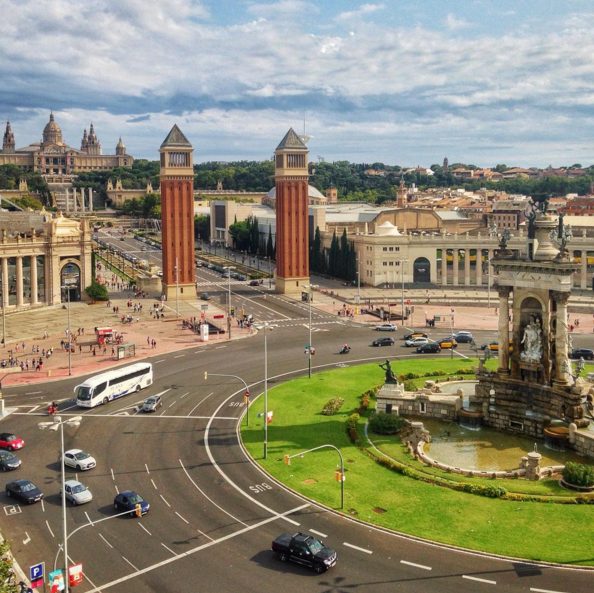 What’s your favorite thing to do in Barcelona, or where you live? HI! 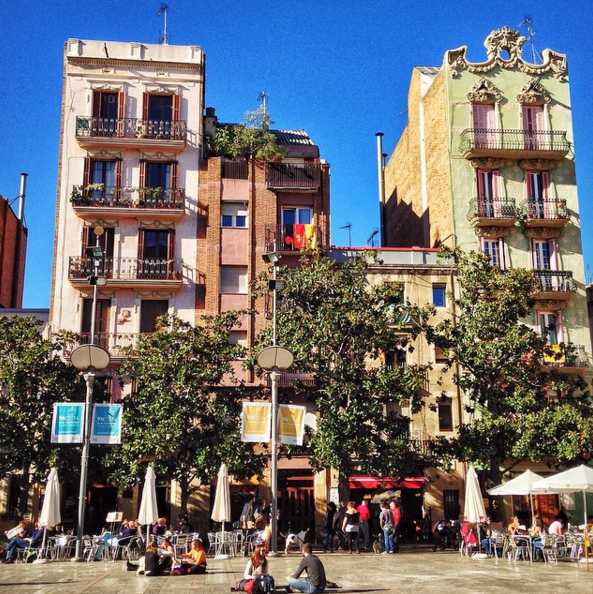 I just discovered your blog and it is SO helpful as I plan my trip to Barcelona next week. I am so excited to explore the city! Where would you recommend renting bikes? We have found many bike tours, but we would also like to rent bikes and ride around on our own. 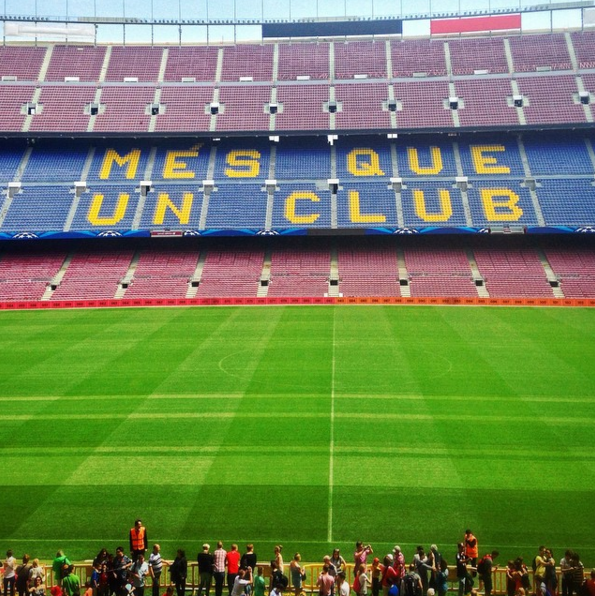 Also, do you know of any running groups or good places to workout in Barcelona? I would love to explore that side of the city if possible, too! One more question. If you had to choose one day trip out of the city, where would you go? Ir a hacer el Vermut is for sure muy favourite!